CITY RIDER SHIFT is revolution in municipal transport vehicles and entertainment at the same time. 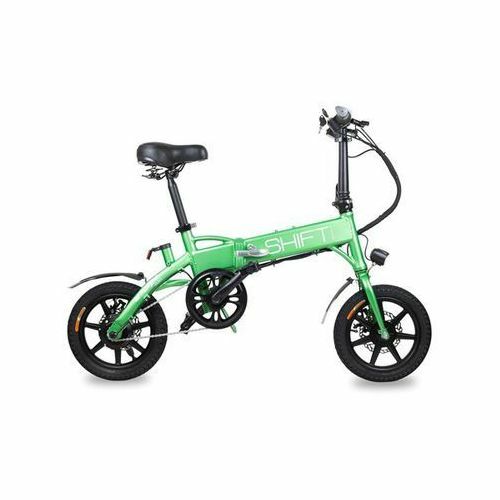 Electric bicycle with assembled compact design is intended for both young and older users. It will perfectly work as a vehicle which will take you to school or work without effort. Innovative electric propulsion brings an składnik of fun to daily way of moving – you have never derived so much fun from driving before. Quality is an undeniable advantage of all GOCLEVER devices for transportation on the basis of electrical propulsion. It is proven aby an excellent line of CITY BOARD selfbalancing boards and electric CITY RIDER bicycless. We have used our experience while building CITY RIDER SHIFT bicycle, making us the sales leader in this category. All our products are subjected to very strict checks (each device has its individual serial number with which the user can register his/her device in our guarantee system). Sterowanie skuterem CITY RIDER SHIFT is extremely simple and intuitive – it does not require any learning or practice because the design resembles a traditional bicycle. A bicycle looks like a bicycle – it has an adjustable handlebar and a comfortable saddle. The speed and braking strength adjustment is with use of shifters located on the handlebar. Large inflatable 14 inch diameter wheels also have impact on security – these are kanon wheels with tyres easy to replace in case of puncture or wear. CHECK OUT ON YOU TUBE!